Advanced business software that helps your company meet the challenges of modern business. Modular, integrated applications designed to meet real business issues and help your company grow. 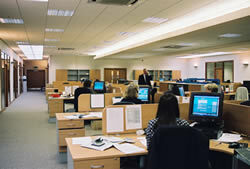 Complete solutions supported by experienced professionals allowing you to concentrate on running your business.